Many people start their day by taking a multivitamin. But what about cat supplements? 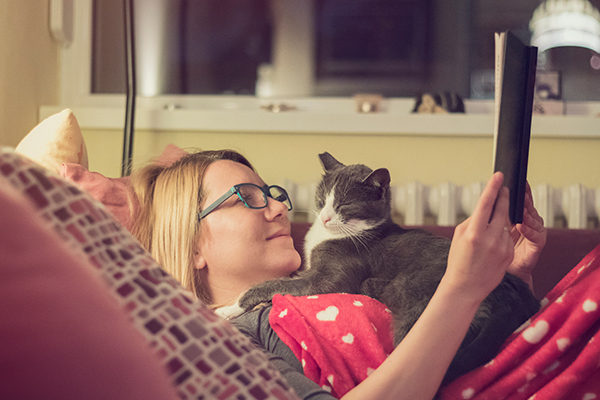 It’s only natural for cat parents to wonder whether their beloved cat might not benefit from a vitamin as well or whether there are other supplements that might improve the health and well-being of their furry friend. In general, healthy cats who are fed a good-quality diet don’t need a vitamin or mineral supplement. 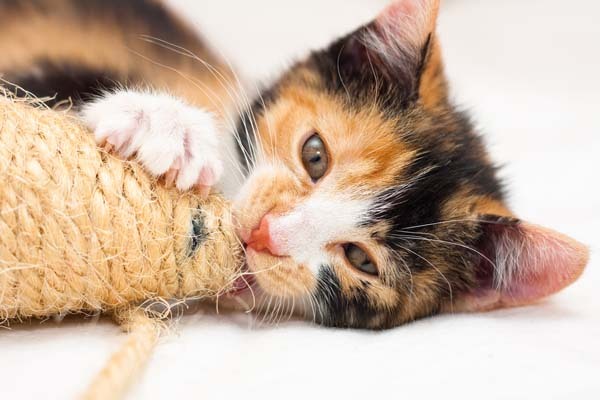 However, supplements might be warranted in cases where cats have a known nutrient deficiency and as adjunct treatment of specific medical conditions. As a board-certified internist, I’m very selective when prescribing supplements to my patients, choosing those that have been studied thoroughly and have been proven to be safe and effective — or at least have a rational basis for their use. Here are a few examples of good cat supplements based on my own experience in practice. Supplements may help a cat’s issues with his liver, arthritis and stomach. Photography ©mediaphotos | Getty Images. The liver is an important component of the immune system, producing vital proteins and removing toxins from the bloodstream. Cats are susceptible to a variety of liver diseases, including infectious and inflammatory diseases like hepatitis; hepatic lipidosis (“fatty liver disease”), in which the liver becomes infiltrated with fat, impairing its function; and cancer. Treatment of liver disease depends on the specific diagnosis. Infections are treated with antibiotics. Inflammatory conditions require anti-inflammatory drugs. Fatty liver disease is addressed by ensuring proper nutritional support. Liver cancer can be treated with surgery and/or chemotherapy. In cases of feline liver disease, I often prescribe a supplement containing S-adenosylmethionine (SAMe), a compound that promotes the formation of glutathione, an antioxidant that helps the liver to repair itself. Silybin, found in milk thistle, has also been shown to have positive effects on the liver. The supplement Denamarin contains both SAMe and silybin, and studies have shown it to be beneficial in cats with liver disorders. I have prescribed this supplement for decades. 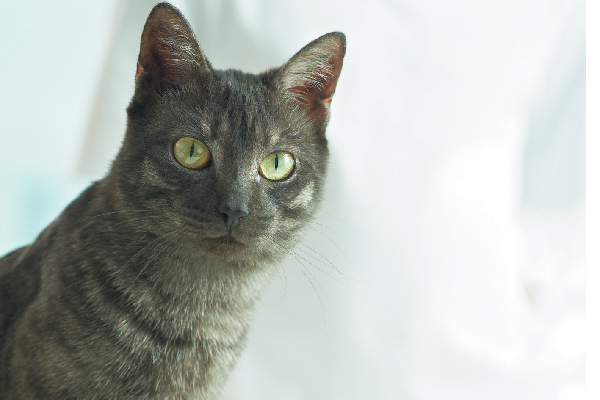 Arthritis is well-recognized in dogs but is often underdiagnosed in cats for several reasons. Cats are very adept at shifting their weight to unaffected limbs, masking any lameness. The feline lifestyle is also a factor. When an arthritic dog can no longer jump into the back of the car, the owner immediately sees the problem. When a cat can no longer jump up to the windowsill, he merely chooses a new favorite place to sleep or meditate, and the owner simply thinks the cat has discovered a new favorite location. Treatment of feline arthritis may involve pharmacological therapies as well as the use of supplements. 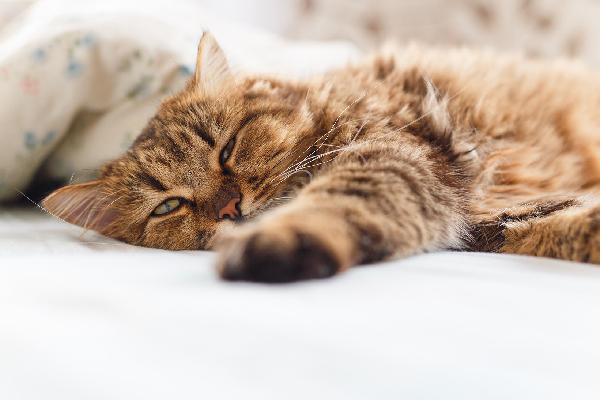 Because cats (unlike dogs) have difficulty metabolizing non-steroidal pain medications, supplements tend to play a more prominent role in the treatment of feline arthritis. Glucosamine and chondroitin sulfate are the most well-known joint supplements and are commonly prescribed to people affected by arthritis. These compounds slow the progression of cartilage damage and promote cartilage health by providing the necessary precursors for repairing and maintaining cartilage. Cats who don’t respond to oral supplementation with glucosamine and chondroitin may respond to another supplement, polysulfated glycosaminoglycans (that last word is a killer, I know). This supplement, under the brand name Adequan, was initially developed for horses and was subsequently shown to be effective in dogs and then cats. It is given by injection, which is something cat owners can easily learn to do at home. I’ve seen dramatic improvement in many cases. Over the past two decades, probiotics have become a popular topic in human medicine, as well as in veterinary medicine. Probiotics have been shown to cause a positive change in the intestinal bacterial population when pathogenic bacteria overtake the GI tract. Not to be confused with prebiotics, which are nondigestible food ingredients that stimulate the growth of bacteria in the GI tract, probiotics are actual live bacteria (think yogurt) that provide beneficial effects to the patient when administered. Bacteria in the GI tract (formerly called the intestinal “flora,” now called the “microbiome”) is a delicate balance of “good bacteria” and “bad bacteria.” When this balance gets disrupted, the bad bacteria can overgrow and produce toxins, which can lead to symptoms such as diarrhea, flatulence and abdominal pain. Probiotics work by stimulating the production of antibacterial substances, inhibiting bad bacteria from adhering to the intestinal lining and, in some cases, enhancing and regulating the immune response. 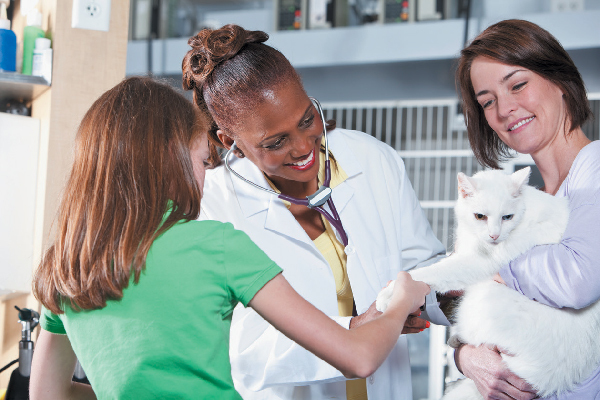 The role that probiotics play in feline medicine isn’t clearly defined, and studies are ongoing. Many studies have been done where probiotics have been given to healthy cats and dogs, and positive effects have been seen. How this translates to animals with GI disorders is unknown. There are only a few studies of the use of probiotics in treating intestinal disorders in cats. No study, however, has found any major negative effects when probiotics have been given to healthy animals, suggesting that they’re safe to use. Many doctors (and now some veterinarians) administer probiotics to prevent antibiotic-associated side effects like diarrhea, vomiting or poor appetite. I don’t often prescribe probiotics in this manner; however, I have had some patients experience diarrhea from antibiotics, and I’ve given probiotics preventively in a few of these patients before prescribing antibiotics to them again. In most of these cases, the probiotic prevented subsequent diarrhea. Supplements aren’t meant to replace conventional therapies, but they may provide significant benefits when used as adjunct treatment for a variety of disorders. 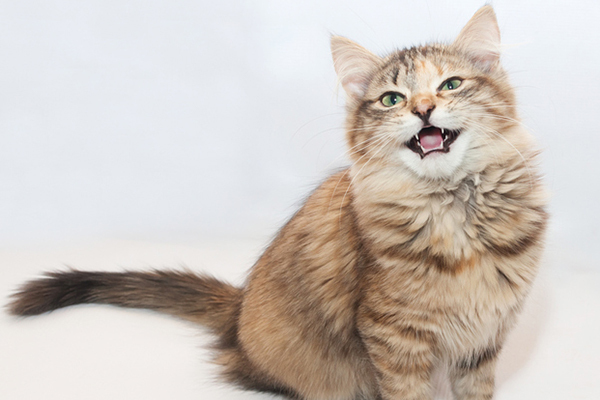 Tell us: Do you give your cat any supplements? By the time my cat, Tommy, was diagnosed as diabetic he was in very bad shape, including pancreatitis and other organ failure. His prognosis was bleak, but he was taken off dry food and put on a diet prescribed wet food, and with 2 insulin injections per day he soon got his diabetes under control, much to the surprise of his vet. However, Tommy still had chronic and sometimes acute pancreatitis. Some days he was so sick he wouldn’t eat, which meant I couldn’t give him his insulin. I started giving him feline probiotics about 6 months ago and he has shown no signs of pancreatitis since. Annie’s comment caught my attention. My understanding from my vet and from the internist vet that my cat was sent to for his bladder stones, was magnesium is the culprit in feline urinary problems. There are prescription cat foods that are low magnesium and Purina makes a low magnesium dry and canned food that can be bought over the counter at grocery stores. I’m not wild about the ingredients in the low mag foods, so I’ve increased their canned food and added water to it. They still get dry food when they want but I’m keeping them hydrated. I give my cat, Bear, glucosamine because my vet suggested it might be helpful. Bear had several instances of partial urinary blockages. He unblocked himself by licking vigorously, and my vet gave him several meds that helped a lot.He said the glucosamine seems to relax the bladder. So, I now give Bear a small amount every morning, mixed in with his “Lickable Treats” plus extra water. He has had NO problems in over a year now. I have read that you cannot “overdose” a cat with glucosamine, but I only give a small amount – just in case. I think that the extra fluids are helping a great deal, just as they would in a human with a UTI. Beyond that, I trust the good cat food I give him contains all the necessary vitamins, minerals, etc., to keep Bear healthy. I DO give him a dry food made with extra Magnesium, which is supposed to be good for the urinary tract.